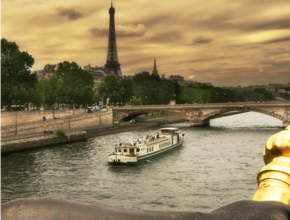 Come aboard Paris's most prestigious boat for an unforgettable sightseeing cruise and find yourself face to face with Paris's splendid monuments. The large picture frame windows offer unrivalled light and an exceptional view over the city of Paris, whilst you savour traditional French cuisine, elegant and refined, freshly prepared on board each day. 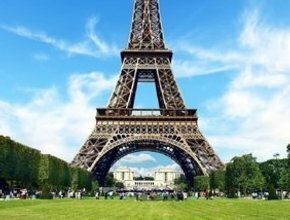 After lunch we will go by the Eiffel Tower for photos, followed by the visit to the Louvre (entrance to the museum at extra cost). Louvre option is not available on Tuesdays & Saturdays.